If, as FIFA and CBF say, an important factor to choose the host cities of the World Cup in Brazil was how much a city represents the personality of the country, then Salvador could not be out of that list. Check out more information about the World Cup in Salvador and accommodation in Salvador and Bahia. 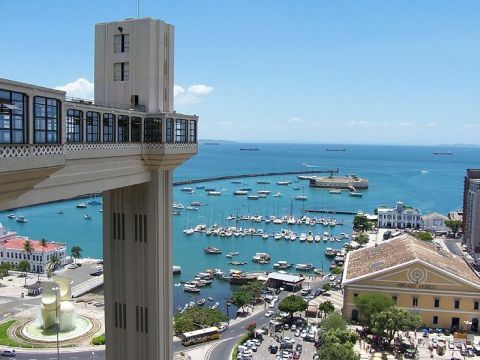 Salvador is the Brazilian city with the oldest History: it was near Salvador that Portuguese navigator Pedro Cabral discovered Brazil, and it was Salvador one of the first settlements in the country. The Fonte Nova (New Fountain) stadium will be put to ground and rebuilt from scratch to stage the games in 2014. Salvador da Bahia (full: São Salvador da Bahia de Todos os Santos, in English: “Holy Savior of All Saints’ Bay”) is a city on the northeast coast of Brazil and the capital of the Northeastern Brazilian state of Bahia. Salvador is also known as Brazil’s capital of happiness due to its easygoing population and countless popular outdoor parties, including its street carnival. Salvador is the third most populous Brazilian city, after São Paulo and Rio de Janeiro, and it is the ninth most populous city in Latin America. 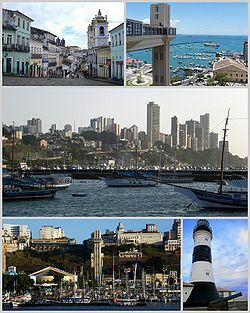 The city of Salvador is notable in Brazil for its cuisine, music and architecture. Over 80% of the population of metropolitan region of Salvador has Black African ancestry, the African influence in many cultural aspects of the city makes it the center of Afro-Brazilian culture. More and more foreign tourists are coming to Salvador interested in knowing the roots of Africa in the Americas. The historical center of Salvador, frequently called the Pelourinho, is renowned for its Portuguese colonial architecture with historical monuments dating from the 17th through the 19th centuries and has been declared a World Heritage Site by UNESCO in 1985. Salvador is a major export port, lying at the heart of the Recôncavo Baiano, a rich agricultural and industrial region encompassing the northern portion of coastal Bahia. The local terrain is diverse ranging from flat to rolling to hills and low mountains. A particularly notable feature is the escarpment that divides Salvador into the Cidade Alta (“Upper Town” – rest of the city) and the Cidade Baixa (“Lower Town” – northwest region of the city), the former some 85 m (279 ft) above the latter,with the city’s cathedral and most administrative buildings standing on the higher ground. An elevator (the first installed in Brazil), known as Elevador Lacerda (photo), has connected the two sections since 1873, having since undergone several upgrades. The Deputado Luís Eduardo Magalhães International Airport connects Salvador with Brazilian cities and also operates international flights. This entry was posted on May 16, 2010 at 12:18 am and is filed under city, stadium. You can follow any responses to this entry through the RSS 2.0 feed. You can leave a response, or trackback from your own site.